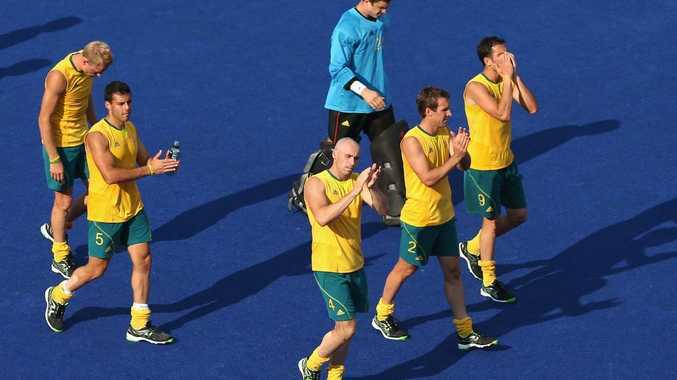 AUSTRALIA'S hockey team will battle it out for bronze early Sunday morning local time after the Kookaburras went down to defending Olympic champions Germany 2-4 in a semi-final this morning. The Kookaburra will play Great Britain for the bronze medal after drawing against the hosts in the prelimary rounds 3-3. Murwillumbah hockey player Matthew Butturini played 47 minutes in a semi-final that Australia led twice before three quick goals from Germany sealed the game. The Germans discipline and strength was evident all over the turf, which put enormous pressure on the world No.1 to execute their trademark free-flowing attacking game. The contest started at a frenetic pace with both teams fiercely defending their possession. While the Europeans were happy to slow the pace down looking for a high striker, the Kookaburras were happy to run the ball as their main form of attack. Germany's tactics put pressure on Australia's ability to transition the ball through the midfield at speed making scoring opportunities more difficult. If Australia is successful in winning bronze on Sunday morning, it will be their fifth in Olympic competition with just one gold, in 2004, and three silvers. Germany has won two gold, a silver and three Olympic bronze medals.